Its almost fathers day so I figured I would make a list of some of my favorite tools and clothes for some gift ideas. A gift that is good for your man but that will also pay dividends for you is the GreenWorks powerwasher. I use it on my trucks and Peyton loves it when I clean the outdoor furniture and porches with it. Everyone is happy! It is easy to use with four different nozzles for different pressure washing situations. To keep your man cleaning and greening up the outside of your house get him some loppers from Fiskars. The powergear loppers are a must have and can power through thick branches in no time. I have a pair in my truck and its a must have. Every homewoner should have a Fiskars lopper hanging on the wall. 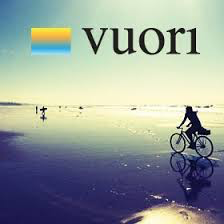 For some new gear I love Vuori clothing they have everything from bathing suits and shorts to t-shirts and sweatshirts. They even have womens clothing that Peyton loves! The bathing suits and workout shorts have a great fit and are stylish. For some new kicks that can transition from beach to bar I love the Sanuk line. They are comfortable and casual. For me I wear them with everything from jeans to bathing suits. If you want to go custom gift there are many places out there that can make one for you. 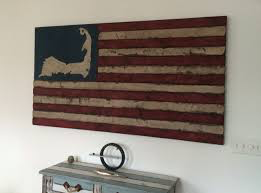 Rustic Marlin is a local Massachusetts company that made me a custom Cape Cod USA wooden flag and can make you a custom piece to finish off any man cave or room. Just a few gift ideas to help you out this Father's Day. Hope you have agreat one! Posted on June 10, 2018 by Chris Lambton.